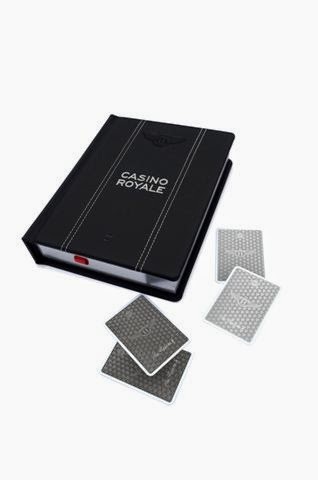 Random House Books Australia recently contacted me regarding the Bentley Edition of "Casino Royale". 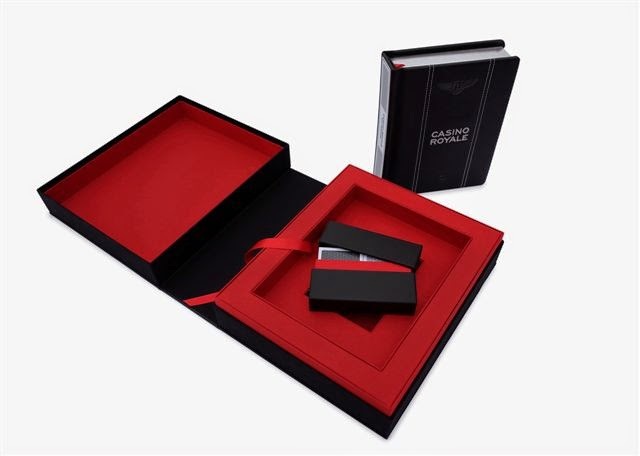 For those not aware the Bentley Edition is a luxury limited edition hardback which was released late last year to celebrate the 60th anniversary of Ian Fleming’s first James Bond novel. There were only 500 of these books printed and it turns out a number are still available for sale. Now for the sake of honesty I don't own one of these books myself, but I would love to. It looks great and the fact it's a reprint of the book that introduced James Bond 007 makes it even more desirable. There is one negative though... the price. 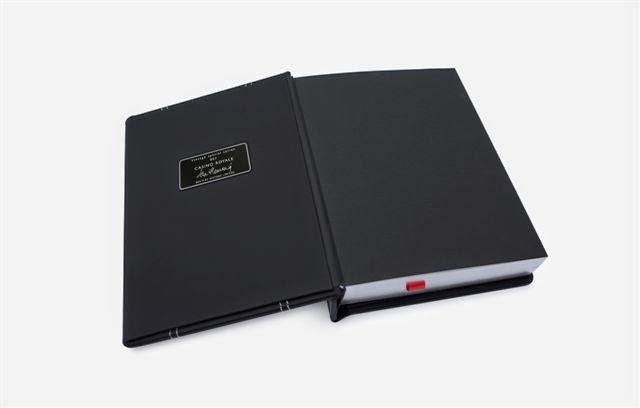 However it is a limited edition and certainly looks as though for the money you'll be getting an ultra-quality Bond collectable. So if you are interested here's some more details provided in a Press Release from Random House. And after reading the Press Release you wish to purchase the book here's a link to the book on the Australian website for Random House. The ISBN is 9780099589549. 2013 is an exciting year for Bond publishing. 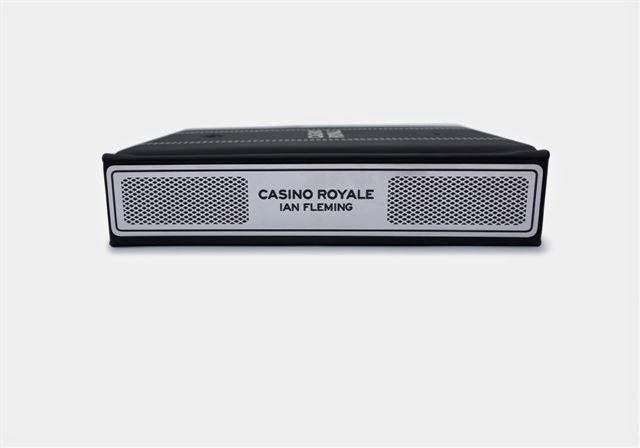 To celebrate the 60th anniversary of Casino Royale, Random House –which houses Fleming’s original publisher, Jonathan Cape - released new editions of Fleming’s non-fiction books Thrilling Cities and The Diamond Smugglers. Also today, Jonathan Cape published the next authorised James Bond continuation novel, Solo by William Boyd. In January 2013 my wife and I visited two friends in Sydney. We stayed with them in their house for the Australia Day long weekend, shared a few drinks and had a great time. Not only did we see the sights of Sydney and do some Bond book hunting in Newtown and Glebe, but we also visited the Sydney Fish Market and were treated to a delicious seafood dinner later that night prepared by Craig, one half of our hosts. Unfortunately a few days ago Craig passed away, and yesterday my wife and I returned to Sydney for his funeral. He was a really great bloke, passing way before his time and will be missed by many. We flew to Sydney early morning, and with time to spare drove to Newtown which we had become familiar with after our last visit. Following some lunch and with plenty of time to spare we decided to visit some of the same second-hand book stores we had visited the year before with Craig and his partner. The first store we visited at the top of King Street was Gould's Book Arcade. This store is massive. I'd go as far as to say it's the largest second-hand book store in Australia. Surprisingly it's also really well organised. They had plenty of Gardners, some Faulks, a Markham but alas no Flemings (that I could find anyway). The store also has a website. The next store we visited was Elizabeth's Bookshop. They had plenty of books however no Bonds. A staff member mentioned they might have some Bond novels in their other City store but we had no time to go there. Hopefully we'll be able to visit that store next time in happier times. There are actually a number of stores in the Elizabeth's Bookshop "chain". Here's their website which also includes an online store. The last store we visited, at the other end of King Street, was the aptly named Last Books. Unfortunately no Bonds here either however there were plenty of other fine books for sale in this great store. I spoke to the owner, Helen, about a number of different topics... the current lack of old Bond novels available for sale, how she believed the popularity of crime novels was lower at present, and her enthusiasm about the number of book stores in the area. She said that a few book stores had gone however she remained hopeful that younger people would start opening up new ones to replace them in Newtown. If you visit Sydney you have to visit this store. It's a great store run by a passionate and knowledgeable owner who remains very optimistic about the future of second-hand book stores. Here's the store's Facebook page too. And finally, as we were about to return back to Melbourne after our busy day we managed to catch up with some other friends who were coincidentally in Sydney celebrating their anniversary. I snapped this photo of the harbour showing the bridge and Opera House from their flash hotel bar. Sydney is a lovely city, and home to some great second-hand stores. A shame Craig wasn't there to spend it with us too. Last Sunday my wife, our friend Brownie, and I travelled down to Frankston to see the annual sand sculpting display near the beach foreshore. Frankston is approximately an hours drive from the City and also the beginning of the beautiful Mornington Peninsula. and the link to James Bond and this blog, Chitty Chitty Bang Bang. (Technically Roald Dahl is also a link too as he wrote the screenplay for "You Only Live Twice" !). Here's an indication of the size of the temporary sculptures. Finally, after our visit we decided to take a stroll along the beach boardwalk to Oliver's Hill. And as an added bonus, the white pointers were out too ! Just over a fortnight ago my wife and I spent a few days in Hobart, sharing a holiday with some friends, Jean-Claude and Brownie who got married last year in Paris. We landed on a Friday afternoon and after briefly checking into our hotel we took a stroll around the Hobart shops before they closed. The first book store we visited was Fullers Bookshop. This independant book store is located on Collins Street. It's really well laid out, with plenty of interesting and diverse new books as well as a cafe at the back. We then walked further down Collins Street where I snapped this photo of the Imperial Arcade featuring Cracked & Spineless Books. As it was open we quickly made a visit, but I decided to return when there was more time available for my next blog entry. After returning to our hotel we then went for a fantastic dinner which included plenty of fresh seafood. Here's a snap I took from our hotel. The red roof building centre-right is Mures Restaurant. If you visit Hobart you have to eat here. Whether you eat in the lower or upper decks the food is just as delicious. The next morning we made our way to Salamanca Market. We arrived just after 8:30am to avoid the crowds. Salamanca Market is considered the best street market in Australia and a major tourist attraction for Tasmania. From our own experience it also gets very crowded from 10am onwards. While walking along the stalls looking at the tourist gifts, hand-made clothes and multi-cultural food outlets we also found several book stalls. But the third had two Pan paperbacks from the 60's including a first edition "You Only Live Twice". The final book stall had plenty of crime and thriller novels but alas no Bonds. After about two hours, and as we were leaving the market, I snapped this photo of the growing crowd. Also in Salamanca Place are a number of other book stores. The Hobart Book Shop is located in Salamanca Square. It stocks both new and second hand books. I did manage to find a Higson Young Bond but I already had it. Deja Vu Books sells only second hand books. On my first visit to the store it was closed, however I did manage to visit the store in my next blog entry. Astrolabe Booksellers are also located in the same proximity. They have many fine condition books although they typically don't stock Bond books. The rest of the day we spent at MONA (Museum of Old and New Art). While my wife and I visited this excellent gallery just a few years ago, Jean-Claude and Brownie had never been there before and said they enjoyed it. A visit to this gallery will certainly challenge your thoughts about art. Here's a couple of snaps I took while we were there. And the parking spots of the gallery owner and his partner. MONA is definitely worth a visit when you take your next trip to Tasmania. I did manage to visit some other book stores while in Hobart which I'll discuss in Part 2 of this blog entry.